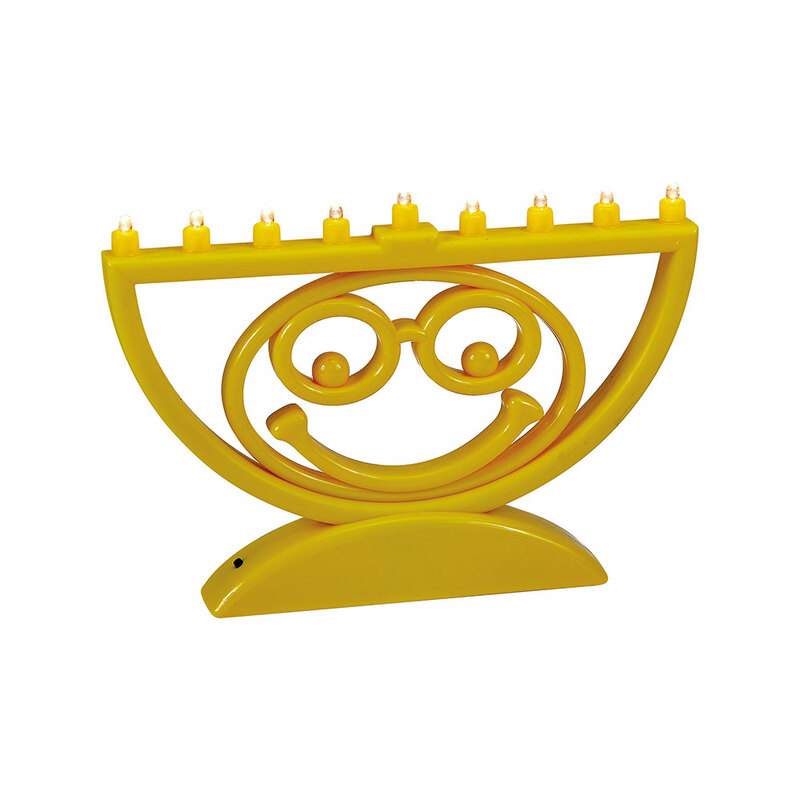 The LED Menorah that makes you smile! Comes in a colored box. Electronic sequential lighting, energy saving low voltage long lasting LED bulbs, with chasing and blinking lights.